The east coast of Australia is currently experiencing one of its worst outbreaks of mosquito-borne disease in years. 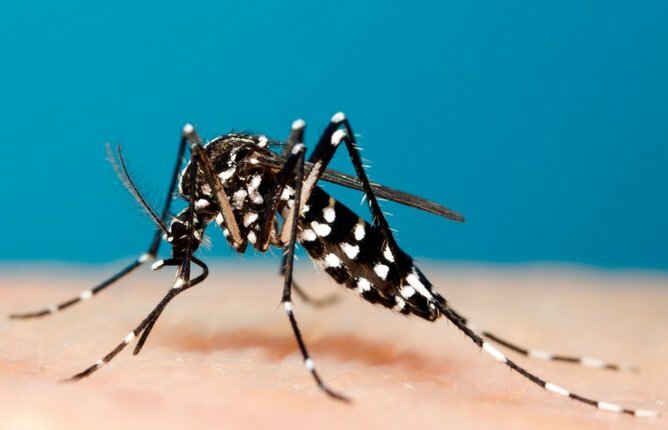 Mosquitoes have plagued the summer and now there’s a dramatic increase in disease caused by Ross River virus, spread by the bite of mosquitoes. Mosquitoes need blood and, unfortunately, they often bite people to get it – some more than others. Pathogens spread by mosquitoes already kill more than a million people a year across the world, mostly in tropical regions. The increased risk of mosquito-borne disease in a warmer, wetter world is a concern for health authorities internationally. But more mosquitoes doesn’t guarantee more mosquito-borne disease. If it isn’t the “right” mosquito, there won’t be outbreaks of dengue or malaria. And while a changing climate may contribute to more mosquito-borne disease, it doesn’t guarantee it: human movement around the world is likely to play just as an important a role. Mosquitoes aren’t like dirty syringes spreading infected blood. They’re diverse and complex creatures that have a special relationship with the parasites and viruses they can spread. Very few of the thousands of mosquitoes found on earth are able to spread dengue or chikungunya viruses. A different group are involved in the spread of West Nile virus and Japanese encephalitis virus, while a different type of mosquito altogether is involved in spreading malaria parasites. 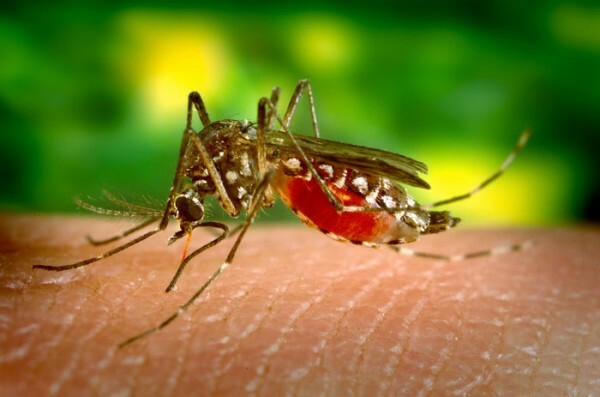 A recent article in the journal Lancet Infectious Diseases reviews the factors contributing to future increases in mosquito-borne disease risk in the United Kingdom. While the authors identify increased temperatures as potentially providing suitable conditions for mosquitoes that spread pathogens, climate change alone wasn’t enough. The mosquitoes that can spread dengue and chikungunya viruses, particularly the Asian Tiger Mosquito (Aedes albopictus), need to get there in the first place and, most likely, that is with people and their belongings. It isn’t only the UK that is at risk. Until recently, chikungunya virus was unknown from the Americas but within a year of it being introduced into the Caribbean, it had spread to both North America and South America and is suspected to have infected over 1.2 million people. As the researchers highlight, even the way authorities respond to the threats of climatic change, such as the construction or rehabilitation of wetlands to create a buffer against increasingly frequent storms and sea level rise, may further increase risk. Mosquitoes that spread West Nile virus could move into these wetlands. The Asian Tiger Mosquito poses a significant threat to Australia. It was discovered in the Torres Strait in 2005, having thought to have hitchhiked on fishing boats from Indonesia. Its a question of when, not if, this mosquito will make its way to mainland Australia. The mosquito has already hitchhiked to Europe and North America with eggs attached to used tyres and lucky bamboo. Movement of people, not shifts in climate is the biggest risk. Should it reach one of our major cities, there is little doubt that mosquito could become a persistent summer pest and possible public health threat. The way we respond to water shortages in our cities, by increasing water storage around our homes, may set the scene for this mozzie to move in. Exotic mosquitoes and viruses are a concern but there are still plenty of ways a local mosquito bite can make you sick. Ross River virus is the most commonly reported local mosquito-borne disease. Every year about 5,000 fall ill due to this virus. While not fatal, it can cause fever, rash, headache, joint pain and fatigue that may last a few weeks or many months. It can be seriously debilitating. By the end of March, New South Wales and Queensland will have recorded over 4,700 cases of Ross River virus disease. Those figures already exceed the total number of cases reported in each of the previous three to five years. This may be the biggest outbreak of mosquito-borne disease along the east coast of Australia since the mid-1990s. 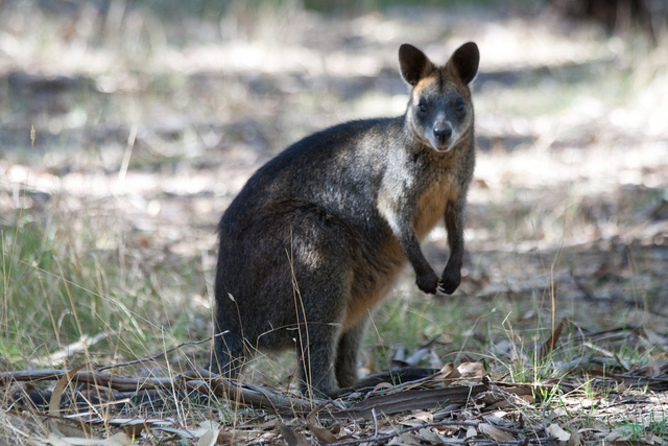 Kangaroos and wallabies also carry the Ross River virus. Australia has had major outbreaks of dengue in the past. But the only mosquito in Australia able to spread the virus is restricted to far north Queensland. It is unlikely to spread to southern cities beyond Brisbane based on temperature change alone. Barmah Forest, Murray Valley encephalitis and Kunjin viruses are all also spread by mosquitoes in Australia too, although they’re generally far less common that Ross River virus. Could the current outbreak be linked to a changing climate? Thanks to the warmest spring on record and substantial rainfall associated with tropical cyclones, conditions have been perfect for mosquitoes. If these climatic events become more common, there is little doubt we’ll continue to see outbreaks of Ross River virus disease and other mosquito-borne diseases. However, outbreaks of Ross River virus are determined by more than mosquitoes. Wildlife play an important role too, as kangaroos and wallabies that carry the virus are increasingly found close to residential areas. So understanding and predicting outbreaks requires an understanding of wetlands and wildlife, as well as climate and mosquitoes. The way we guide urban development will also be important. The current outbreak, however, may provide a glimpse of what lays ahead. With warmer weather, we may see an extension of the “mosquito season” each year. Aside from the risks to public health extending well into autumn (or possibly arriving earlier in summer), there is the increased economic burden on local authorities needing to expand mosquito control and disease surveillance programs. There are still gaps in our understanding of the relationship between climate, mosquitoes and disease. But the current outbreak of Ross River virus disease should serve as a reminder that in the future, more of our “home grown” mosquito-borne disease, and not necessarily the spread of “tropical” disease such as dengue and chikungunya, could be our primary concern.